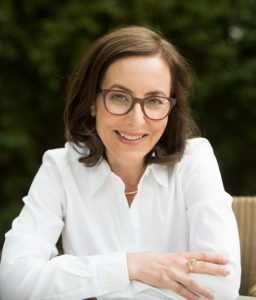 —Eric Schmidt, former CEO of Google and Executive Chairman of Alphabet, Inc.
Leslie Berlin is Project Historian for the Silicon Valley Archives at Stanford University. She has been a Fellow at the Center for Advanced Studies in the Behavioral Sciences and served on the advisory committee to the Lemelson Center for the Study of Invention and Innovation at the Smithsonian’s National Museum of American History. Leslie was a “Prototype” columnist for The New York Times and has commented on Silicon Valley for the Wall Street Journal, NPR, PBS, The Atlantic and Wired. 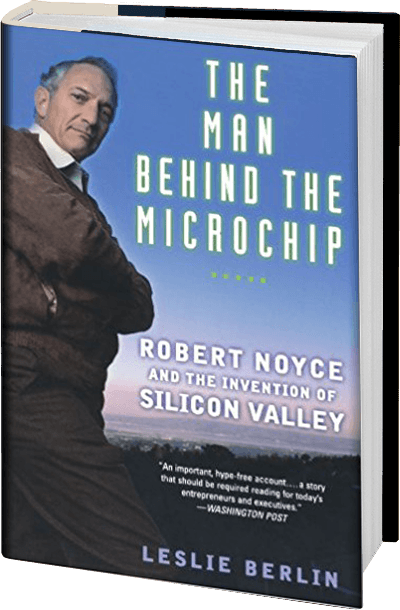 Hailed as the Thomas Edison and Henry Ford of Silicon Valley, Robert Noyce was a brilliant inventor, a leading entrepreneur, and a daring risk taker who piloted his own jets and skied mountains accessible only by helicopter. 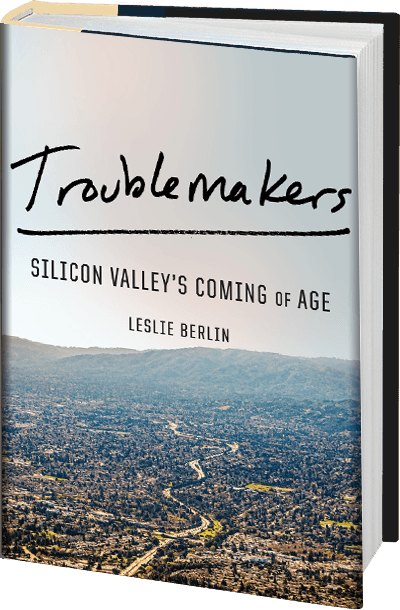 Now, in The Man Behind the Microchip, Leslie Berlin captures not only this colorful individual but also the vibrant interplay of technology, business, money, politics, and culture that defines Silicon Valley.